Last year, we teamed up with Code School to launch an interactive course that teaches you how to take advantage of the powerful resources available in Chrome DevTools and speed up the development and debugging of your web apps. 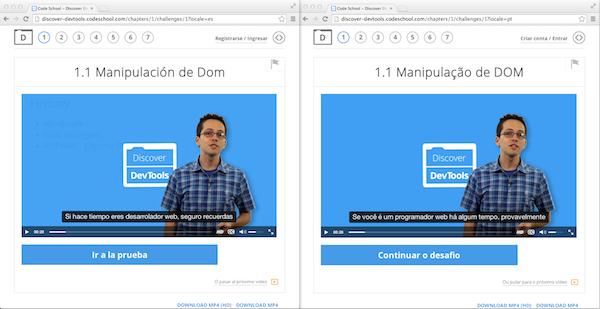 Today, we’ve launched a major course update that features new videos that reflect the most up-to-date Chrome DevTools UI and functionality as well as Spanish and Brazilian Portuguese subtitles. We hope you’ll take a moment to rediscover DevTools and see how Chrome DevTools can make you a more productive developer. +Peter Lubbers is a Program Manager on the Chrome Developer Relations Team, spreading HTML5 and Open Web goodness.